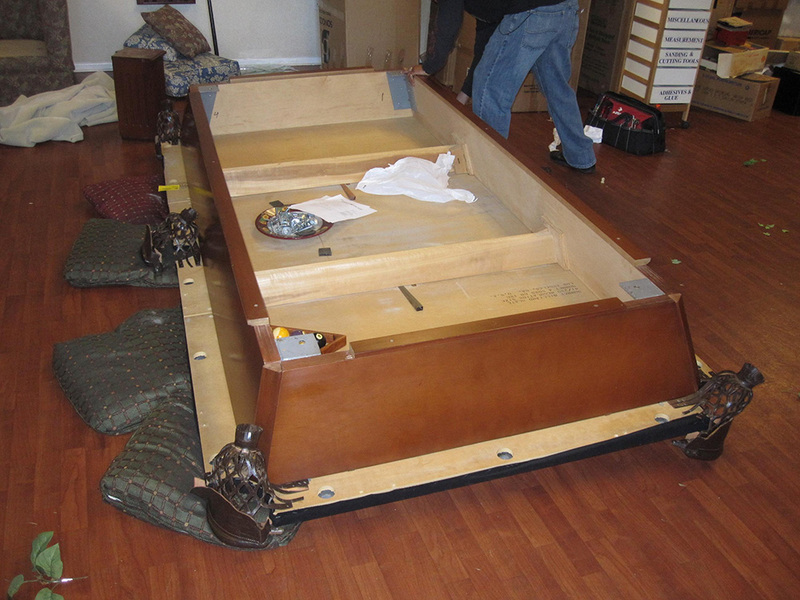 This is a pretty common scenario, we’re asked to move a pool table from upstairs to downstairs. OK, so we book the job and my crew and I show up on the service date. But what our client failed to mention, was that their maintenance crew tried to tackle this endeavor themselves. 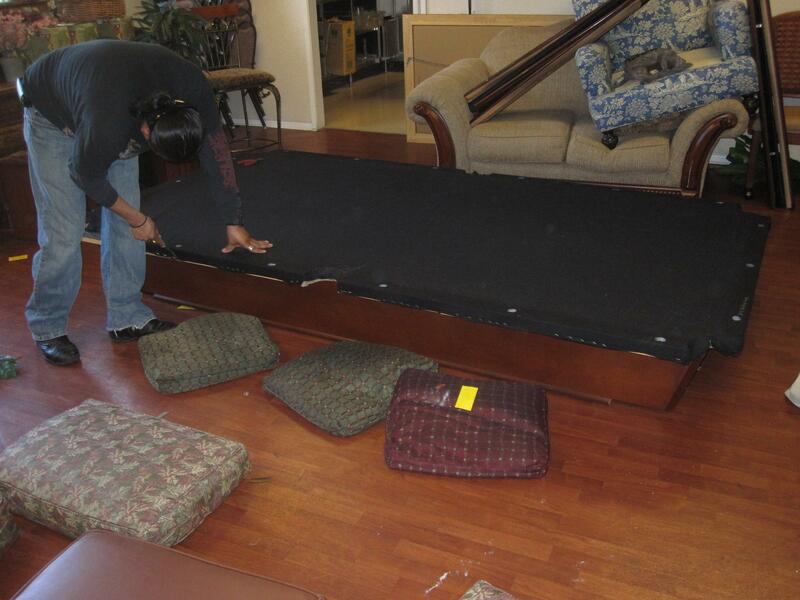 When I walked through the doors of Atria Woodbridge, Assisted Senior Living in Irvine, CA I remembered being there about five years ago for a setup and refelt job. 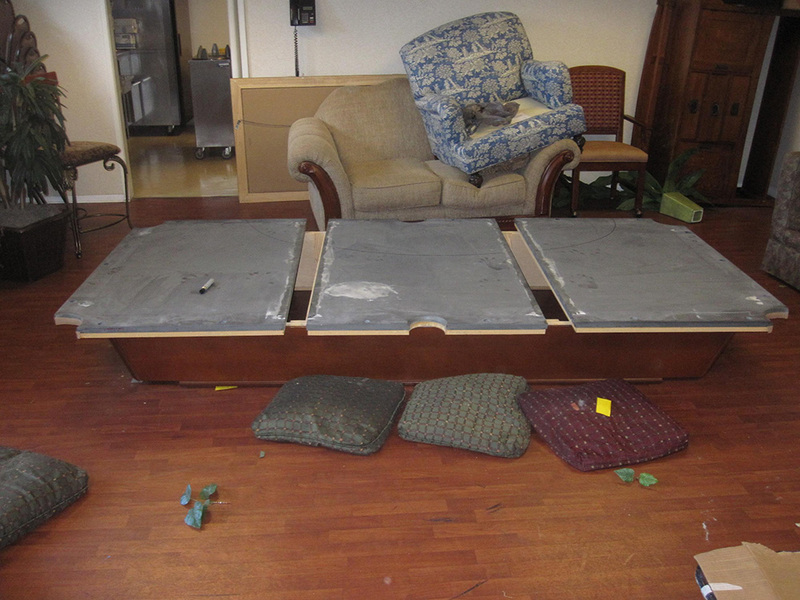 Apparently the pool table which was located in an upstairs game room was not getting much use. 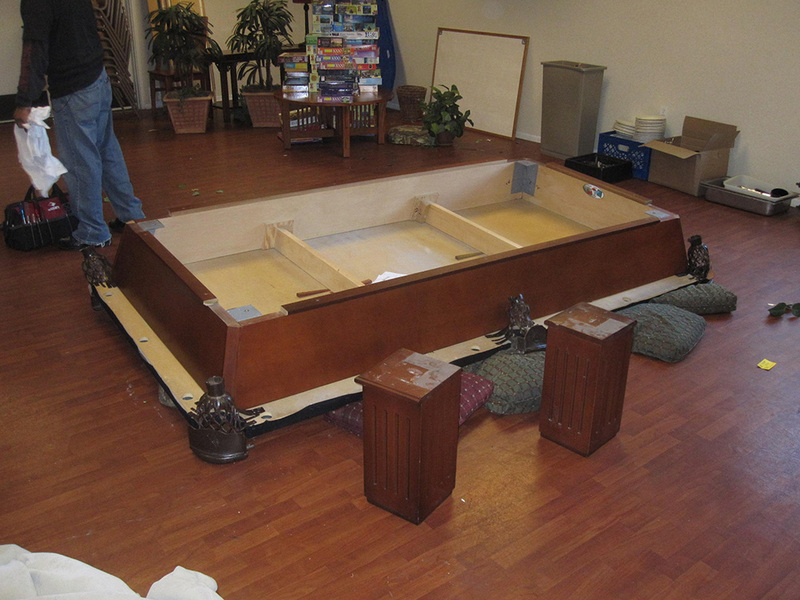 The management thought that if the pool table were relocated to the ground floor that it would get more use. As I walk through the second floor game room door, I immediately notice an upside down pool table. 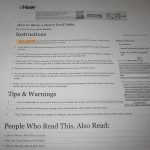 Great, this is just what I need for my blog, something interesting and unusual. 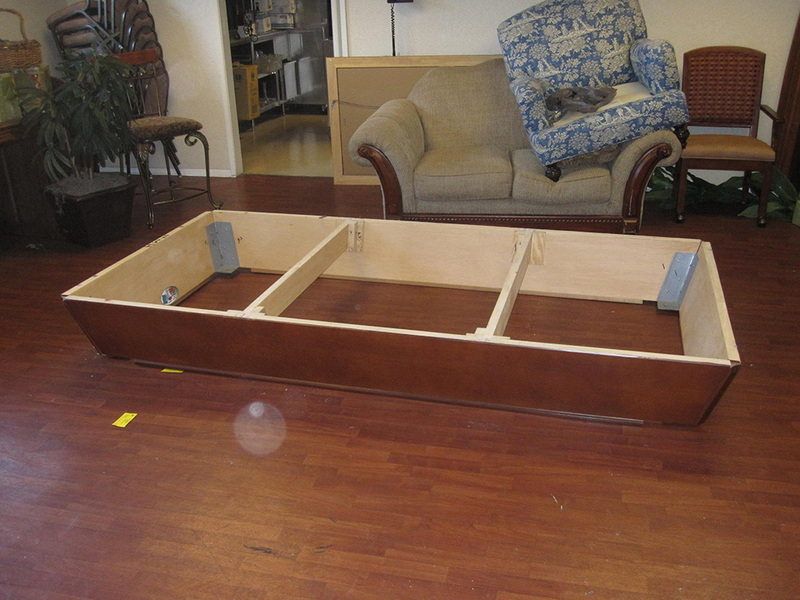 But, how are my assistant and I going to flip this mammoth pool table right side up? 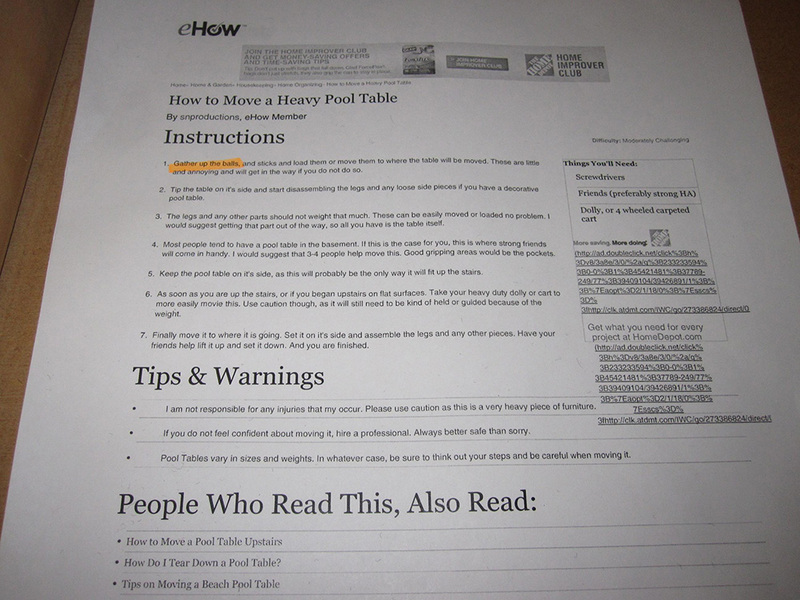 Enter three of the culprits, whom at the behest of Atria’s upper management and with the aid of a printout from Ehow.com’s website titled, “How to Move a Heavy Pool Table”. 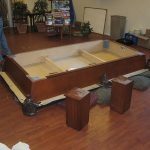 These three, poor, maintenance men were actually going to try to move this Murrey and Sons nine foot slate pool table down a flight of stairs. 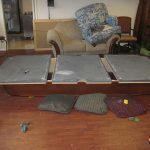 The men got as far as step 2 in the ehow.com instructions, then told their boss no way, and left the pool table upside down resting on pillows. 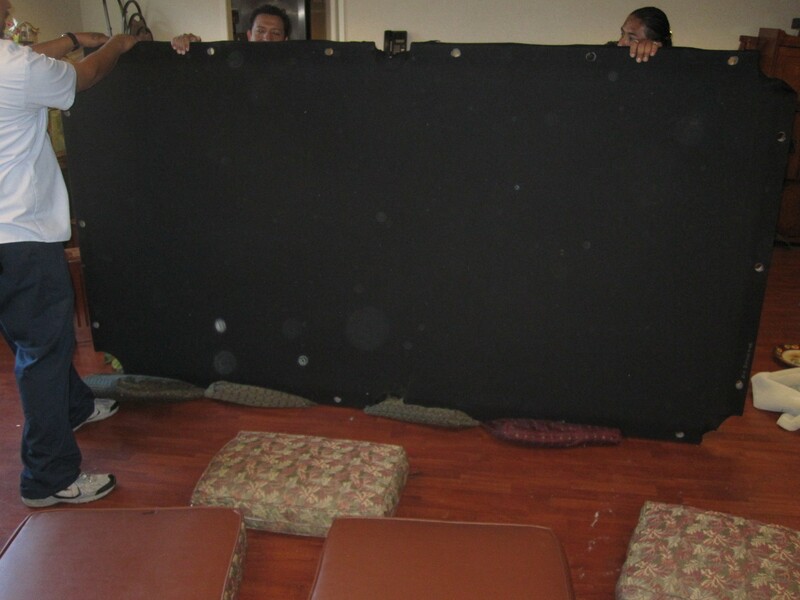 DK Billiards to the rescue!